Those of you who have watched the recent NFB Documentary have already heard that Howard Shore is composing a Cello Concerto for Sophie Shao. For those interested, Guild Hall has just announced that the work will premiere in her "upcoming season." Keep your ears open! The National Film Board of Canada has produced six short films to celebrate the lives of the recipients of 2011's Governor General's Performing Art Awards: Yvon Deschamps, Margie Gillis, William Shatner, Howard Shore, Leslee Silverman, and Paul Thompson. It gives me great pleasure to present "A Composer's Dream," featuring Howard Shore. The much-delayed mystery is revealed HERE. The Governor General’s Performing Arts Awards (GGPAA) are Canada’s most prestigious honour in the performing arts. They are the ultimate recognition from Canadians of artists whose accomplishments have inspired and enriched the cultural life of our country. Since 1992, these Awards have celebrated Canada’s best for lifetime artistic achievement, voluntarism in the performing arts and outstanding achievement in the previous performance year. From the rustic playfulness of the Shire to the vicious hammering Orc factories of Isengard, Howard Shore’s Oscar-winning music for Peter Jackson’s Lord Of The Rings film trilogy covers ground with a symphonic sweep. Celtic modes and rhythms are perfect for the Hobbits, while faintly Arabic orchestral phrases seem just right for the Elvish lands of Lothlorien. The Dwarves are given lots of bass and angular rhythms while the elusive Gollum - very much in the background in the first episode, The Fellowship Of The Ring, which featured in this concert - seems unsubstantial as he slithers in the dark damp depths. Then there are the landscapes - the majestic mountains and menacing caves, still rivers and turbulent rapids - all needing some musical brush strokes. Finally, of course, there are the characters themselves. Frodo and his three Hobbit companions, Gandalf and Bilbo Baggins and the other heroes and villains, all needing to be scored. Like the films, the soundtrack was a massive and complex undertaking and you only realise how ambitious and successful it is when you hear it performed live as a three-hour piece with orchestra and choirs. The audience’s attention is still locked on the big screen at the back of the Opera House’s concert hall stage, but the music is an equal partner, rather than a barely noticed complement to the action. Thanks to SimonJD for sending this in! Sydney FOTR report: The Sydney Symphony under Ludwig Wicki's expert baton and accompanied by the Sydney Philharmonia Choirs and the Sydney Children's Choir gave a stirring, precise and uplifting performance of the score to Fellowship live to projection this weekend at the always breathtaking Sydney Opera House. I was fortunate enough to attend Saturday night's performance and I have to say that as good as the recordings are there is nothing (repeat nothing) like hearing the music live in such a setting. When I finally ;) got my hands on your book last year, Doug, I was able to listen to the music with new ears again but it was the performances I was already so familiar with. So Saturday night's performance was a very special gift, especially I has never been able to get to a LOTR Symphony. Two things really stood out, the energy that the orchestra put into the performance (that aleatoric music is a real cardiac work out for the strings) and the glory of the choral pieces. The choirs were well prepared, carefully microphoned, and sounded spectacular. The acoustics of the Sydney Opera House Concert Hall are tricky (great venue that has many flaws) and these were managed very well to balance the vocal/ sound effect rack with the live performances of the orchestra, soloists and choirs. What else can I say but bring on TTT in 2012. Secondary dealers are currently offering FOTR: CR for $479.99 on Amazon. Let's watch how high the price soars before people realize that it'll be back in stock in the near future. I'm hoping both to see the price careen over $1000.00 and, more importantly, for NO ONE to be taken in by the scam. Spread the word. Please don't let anyone spend unwisely! I always wondered if Tolkien’s Elves were originally conceived of as being more along the lines of Sir Thomas Marley’s “dainty nymphs.” There’s an Elvish playfulness –perhaps a capriciousness? – in The Hobbit that’s not seen elsewhere in Tolkien’s writing. “Tra la la,” indeed! This isn’t me dropping musical hints, by the way. I don’t know how the Elves will be portrayed in the film adaptation of The Hobbit, and I don’t know how Howard Shore will approach them musically. Don’t read into much into the above. Rather, Marley’s lyric, which includes both “Maying” and “fa la la,” perfectly encapsulates my mental state – or perhaps my ocular state: one eye forward, one behind. I’m at a delicate cross-road just now. 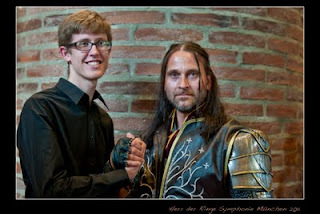 Part of my work is firmly in the world of The Lord of the Rings. There are upcoming performances, lectures, and permutations of the book to be shepherded into reality. The next six-to-twelve months look to be pretty Ring-packed. In fact, if you travel the right circles, I may be hard to miss for a while. You’ll see, you’ll see. At the same time, we’ve begun very cursory discussions on The Music of The Hobbit Films … or whatever we decide to call it. What’ll be the same? What’ll be different? Switching back and forth between the two worlds is exciting, refreshing even, but it takes a little more concentration. Don’t get me wrong, I’m not digging ditches or breaking my back with an over-stuffed schedule. I'm not complaining. I’m just trying to clarify my thought process as much as possible … and trying to keep everything straight so that I don’t bungle anything too badly! This winter’s spate of lectures was wonderful in that it helped me to work directly with audiences over an extended period of time. When you’re writing in an office all day, it’s easy to ignore that relationship. When the audience is in the room, you can see so clearly just how and to what they respond. Of course, every group is different, but it’s still an energizing and revealing process. I feel a little bad the Luzern (and Wheaton) lectures were all uploaded to the blog in such a compressed time period – they were an awful lot to digest over a week. But May looks to be a pretty crazy month, and I wanted to post the files as soon as opportunity allowed. That’s the great thing about the digital age. Those lectures now await you at your leisure. I can’t believe I still haven’t posted any reactions to Luzern’s Symphonic Film Music or Chamber Music performances. Never in my wildest dreams would I have guessed that someday I’d hear the Se7en performed live. Or Ed Wood with a real Theremin! 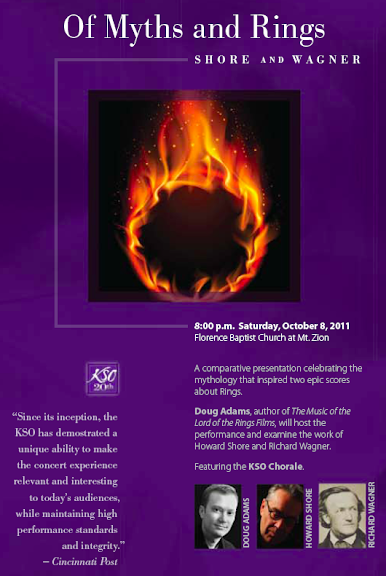 (Basil Bohni and I did a pre-concert lecture for this concert, and were joined by the Theremin player. I was able to finally speak the sentence, “Will you please play the Theremin for us now?” A life-long dream realized!) And the austere Bartokian harmonies of The Brood set aside the oft-sumptuous Seven Pieces … and The Departed … and The Fly … and, and, and! So it’s back to the coalface for now. As I’ve mentioned previously, I’m hoping to have an announcement or two in just a few days – maybe a week or so. You should also be seeing some heavy duty press releases as summer rolls in – and more as it rolls along. Oh, and I think I should have my contract for The Hobbit soon. It’s quite likely I’ll announce when that comes in! 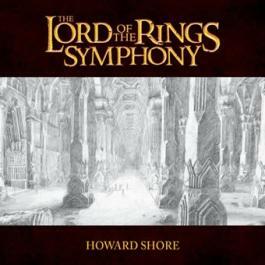 The Music of the Lord of the Rings Films is now available at the official Warner Brothers online shop. Gift-box options are available. Nothing much to report, I just thought that was kind of cool! 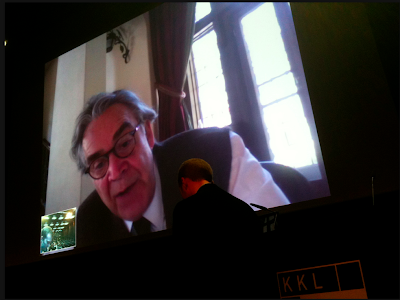 A few days before the final Luzern lecture I received a note from Howard Shore: “Can I join the lecture via Skype?” Thanks to the fast-moving KKL crew, we were able to set up all necessary technology in a short period of time, test it out, and confidently tease the audiences that a “very special guest” would be joining us on Friday. Howard and I often remark that no matter how many times we have to speak about the LOTR score, we always find something new to discuss. Of course, we have to cover some familiar territory in order to properly contextualize the conversation for the audience, but by and large we find a new road each time we set out. This time our conversation navigated such diverse topics as Naked Lunch, The Social Network, David Cronenberg, and yes, The Hobbit. (I wonder how it will feel, years from now, to revisit this interview and hear Howard talking about his still-pristine copy of the book.) We also were able to take an unusually – and refreshingly – broad look at LOTR, since I’d spent most of the prior week parsing details and minutiae. The video here primarily consists of still pictures captured by a number of people, but there's a little bit of full-motion video interspersed, so keep your eyes on the screen! I suppose this post also serves as my semi-official Luzern wrap-up. I can’t tell you how exciting it was to be there at the beginning … to see to first of what we can only assume to be many LOTR cycles to come. My deep thanks to everyone that made this possible. The picture below was sent in by a generous reader. Did anyone here attend the Tampere performance? I'm sure we'd love a review! 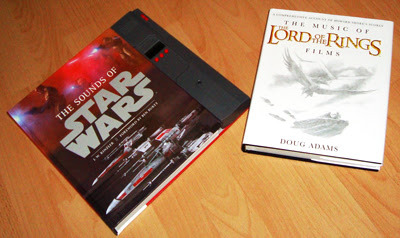 Real Virtuality has published a two-part review, the first half of which covers The Sounds of Star Wars, the second half of which reviews The Music of the Lord of the Rings Films. If you're not 'reviewed out,' give it a read!